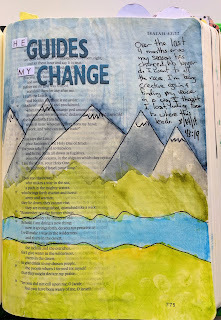 Today I'm sharing a page I did from the Craving Connection devotional (sold out) from DaySpring. It was part of a 15-minute challenge Illustrated Faith ran on their Facebook page. This page took 22 minutes to finish. 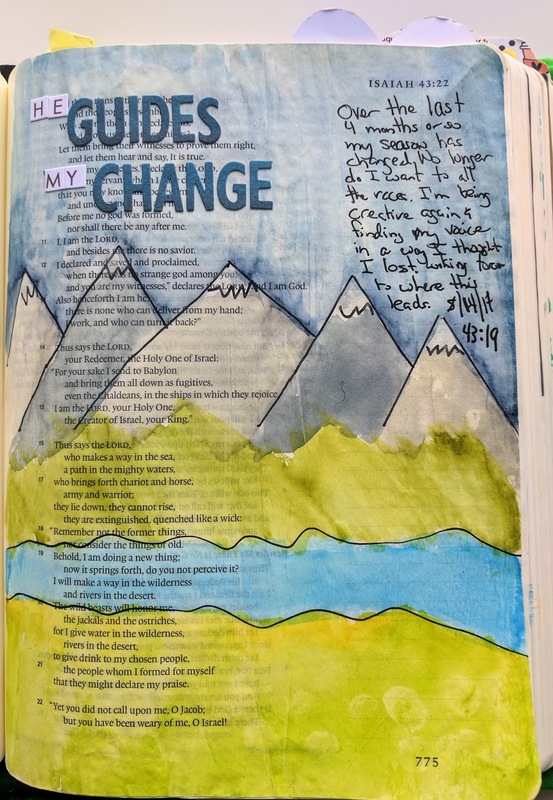 It's about verse Isaiah 43:19 which I highlighted having the river of my scene that I painted with my Prima Watercolors and Pitt Pens.